Kaya made the long trip to the Australian National Show (6600kms) to compete in one of the largest Dorper / White Dorper shows in Australia (484 animals). I would like to congratulate the organising committee and the volunteers who made the show and sale exceptional. Congratulations also to all the exhibitors for their quality of stock, friendship and passion for an ever-improving breed. Kaya only competes with rams as we feel that the show preparation, combined with the long trip, has a long-term negative effect on the ewes and their job is extremely crucial, as it is the basis of our stud. We took 18 rams to compete in 10 classes, with our emphasis always on the heavyweight lambs and adult classes. Of the 10 classes we entered, we finished 1st in 8 classes and we finished 2nd in one and 3rd in the other. and then the Grand Champion Ram and the Supreme White Dorper Exhibit. 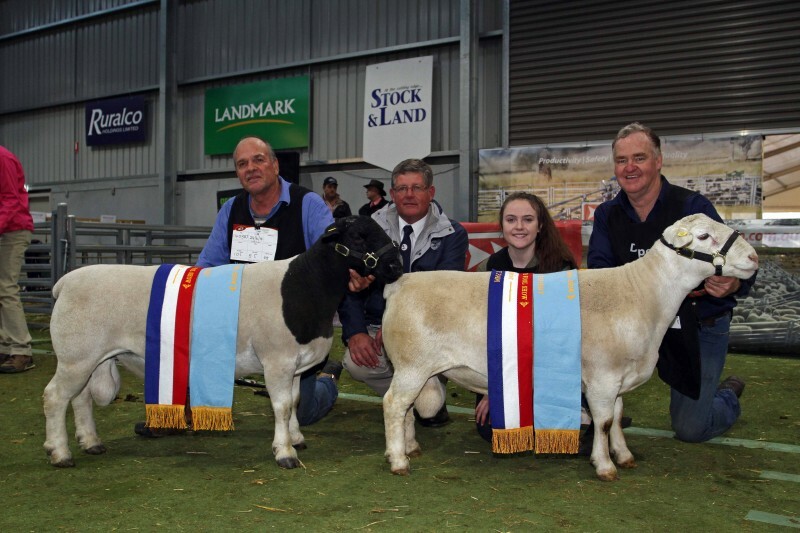 A pleasing part of the show was that the Junior Reserve Champion Ram shown by Roslynmead West Stud and the Senior Reserve Champion Ram shown by Bunnerungie Stud, were bred from Kaya sires. In addition, the Reserve Senior Champion Ram shown by Bulmar Stud was sired by a Kaya ram. Thank you to all the people esp. Marius Loots and Bullie Malherbe who helped me with my sheep, and my family who do 90% of the showing while I sit in the stands and take it easy. Special thanks to Kane Chatfield from the Farm Weekly for the use of the photos.